At Emory, Kathy Griendling’s group is well known for studying NADPH oxidases (also known as Nox), enzymes which generate reactive oxygen species. In 2009, they published a paper on a regulator of Nox enzymes called Poldip2. Griendling’s former postdoc, now assistant professor, Alejandra San Martin has taken up Poldip2. Griendling first came to Nox enzymes from a cardiology/vascular biology perspective, but they have links to cancer. Nox enzymes are multifarious and it appears that Poldip2 is too. As its full name suggests, Poldip2 (polymerase delta interacting protein 2) was first identified as interacting with DNA replication enzymes. Poldip2 also appears in mitochondria, indirectly regulating the process of lipoylation — attachment of a fatty acid to proteins anchoring them in membranes. That’s where a recent PNAS paper from San Martin, Griendling and colleagues comes in. 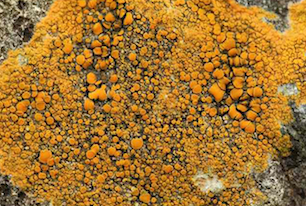 It identifies Poldip2 as playing a role in hypoxia and cancer cell metabolic adaptation. Part of the PNAS paper focuses on Poldip2 in triple-negative breast cancer, more difficult to treat. 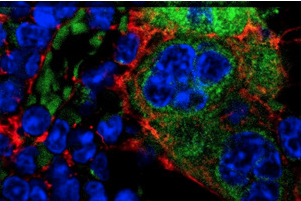 In TNBC cells, Poldip2’s absence appears to be part of the warped cancer cell metabolism known as the Warburg effect. Lab Land has explored the Warburg effect with Winship’s Jing Chen. Pentz’s team systematically evaluated something that science writers and journalists try to do all the time (and not always well). And they did so with actual conversations between doctors and patients at Winship. The first author of the paper, published in The Oncologist, was medical student Ana Pinheiro. The paper lists all 17 (bus driver, boss, switch, battery, circuit, broken light switch, gas pedal, key turning off an engine, key opening a lock, food for growth, satellite and antenna, interstate, alternate circuit, traffic jam, blueprint, room names, Florida citrus) and how they were used to explain eight cancer-related molecular testing terms. When patients were asked about the helpfulness of a metaphor that was used, 85 percent of the time they demonstrated understanding and said it was helpful. So let the metaphors fly! Many of the proteins and genes that have critical roles in cancer cell growth and survival have been conventionally thought of as undruggable. That’s because they’re inside the cell and aren’t enzymes, for which chemists have well-developed sabotage strategies. 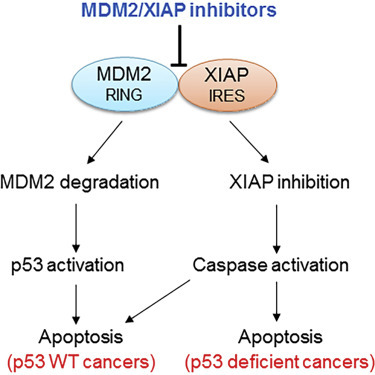 In a twist, the potential anticancer drugs described in Cancer Cell disable an interaction between a notorious cancer-driving protein, MDM2, and a RNA encoding a radiation-resistance factor, XIAP. The compounds could be effective against several types of cancer, says senior author Muxiang Zhou, MD, professor of pediatrics (hematology/oncology) at Emory University School of Medicine and Aflac Cancer and Blood Disorders Center. In the paper, the compounds show activity against leukemia and neuroblastoma cells in culture and in mice, but a fraction of many other cancers, such as breast cancers (15 percent) and sarcoma (20 percent), show high levels of MDM2 and should be susceptible to them. 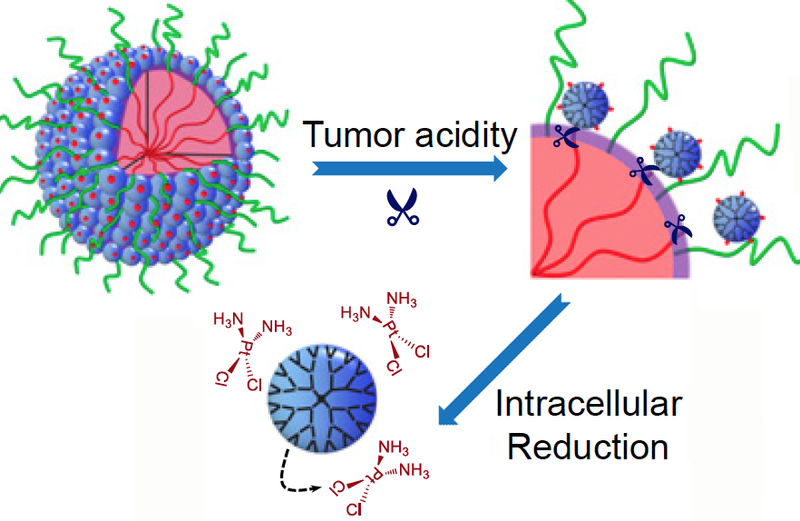 Scientists have devised a triple-stage ‘cluster bomb’ system for delivering the chemotherapy drug cisplatin, via tiny nanoparticles designed to break up when they reach a tumor. What makes these particles distinctive is that they start out relatively large — 100 nanometers wide — to enable smooth transport into the tumor through leaky blood vessels. Then, in acidic conditions found close to tumors, the particles discharge “bomblets” just 5 nanometers in size. Inside tumor cells, a second chemical step activates the platinum-based cisplatin, which kills by crosslinking and damaging DNA. Doctors have used cisplatin to fight several types of cancer for decades, but toxic side effects — to the kidneys, nerves and inner ear — can limit its effectiveness. 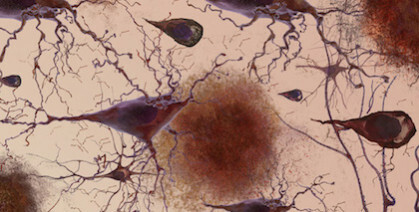 The PNAS paper is the result of a collaboration between a team led by professor Jun Wang, PhD at the University of Science and Technology of China, and researchers led by professor Shuming Nie, PhD in the Wallace H. Coulter Department of Biomedical Engineering at Georgia Tech and Emory. Nie is a member of the Discovery and Developmental Therapeutics research program at Winship Cancer Institute of Emory University. The lead authors are graduate student Hong-Jun Li and postdoctoral fellows Jinzhi Du, PhD and Xiao-Jiao Du, PhD. On Friday, NINDS director Walter Koroshetz made an interesting remark in a lecture to Emoryâ€™s Department of Neurology. He said that in the 2016 National Institues of Health budget, neuroscience is now the largest â€œbucket of money,â€ especially with the recent boost in funding for Alzheimerâ€™s research. Thatâ€™s larger than the bucket for cancer. To be sure, biomedical research in general got a boost from Congress, with the NIH receiving its largest increase in a decade, and cancer is still a big deal! 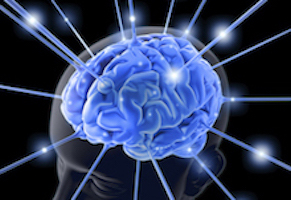 Koroshetz highlighted a project from Dieter Jaeger and Garret Stanley that is part of the White Houseâ€™s BRAIN Initiative focused on mapping brain circuits and connectivity. He also noted NINDSâ€™s efforts in promoting translational research, since pharmaceutical companies were frustrated by repeated failures in the 1990s with difficult areas such as stroke, and the R35 mechanism for funding â€œoutstanding investigatorsâ€ for up to eight years continuously. The results were published inÂ Nature Cell BiologyÂ on October 19. Parietin, also known as physcion, could slow the growth of and kill human leukemia cells obtained directly from patients, without obvious toxicity to human blood cells, the authors report. The pigment could also inhibit the growth of human cancer cell lines, derived from lung and head and neck tumors, when grafted into mice.